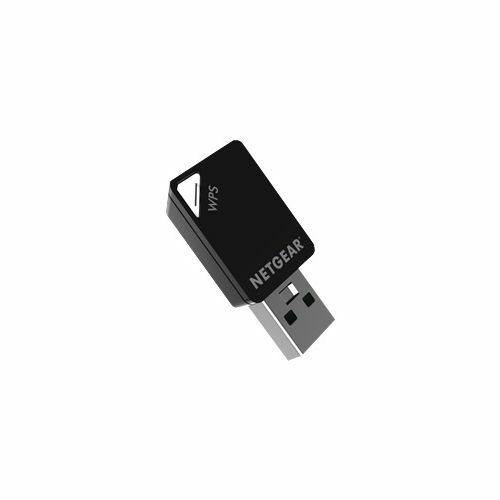 Compatible with any standard WiFi router, this AC600 Dual Band WiFi USB Mini Adapter wirelessly upgrades your Windows®-based notebook computer to AC WiFi speeds. The compact, mini designed adapter is perfect for added mobility and allows you to experience lag-free, HD streams throughout your home, online gaming and a secure and reliable connection to the Internet. With up to 150/433Mbps speed, dual band and Beamforming+, the A6100 avoids interference ensuring top WiFi speeds and reliable connections. Easy setup with the NETGEAR® genie® gets you up and running fast, while Push ‘N’ Connect gives you a secured connection at the push of a button.